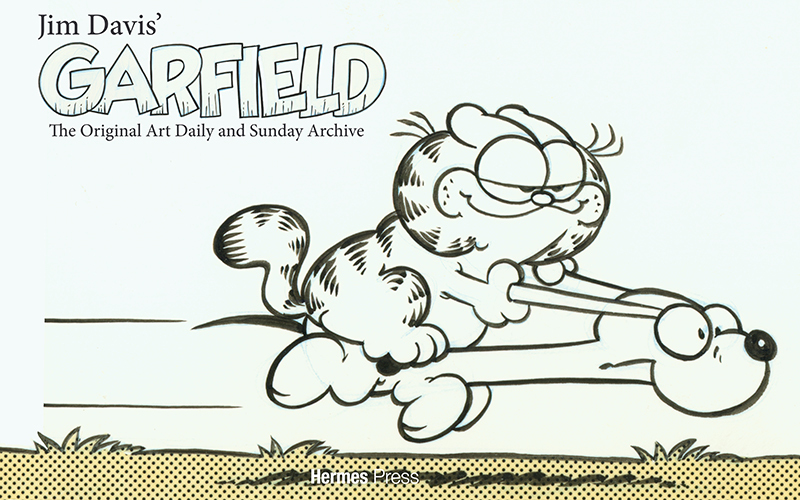 Jim Davis’ Garfield: The Original Art Daily and Sunday Archive to be published by Hermes Press! 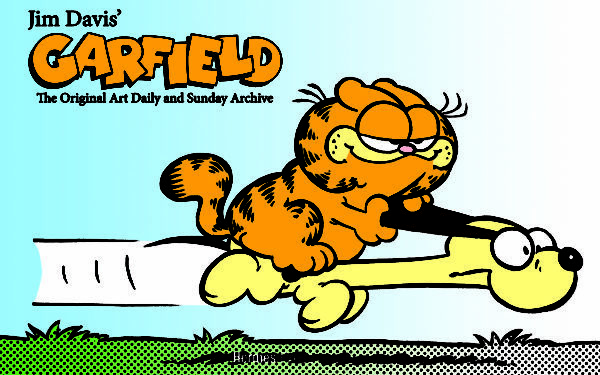 Hermes Press is proud to announce their second major collaboration with Paws, Incorporated producing another unique title featuring everyone’s favorite orange cat, GARFIELD! Hermes and Paws have come together to treat the world to a compendium of the greatest examples of original artwork from classic Garfield daily and Sunday comic strips in their original size, including rare unpublished strips, that has never been seen before (the Sunday strips will be reproduced in a slightly smaller format due to their huge size)! Jim Davis’ Garfield: The Original Art Daily and Sunday Archive: Regular edition – ISBN: 978-1-61345-133-5; $95; Limited Ed – ISBN: 978-1-61345-134-2; $125 (Diamond/Previews exclusive); Archival reprint — using the rare original art printed in full color (to show blue and red pencil indications, white out, and production details unseen in the printed strips) compilation of the Garfield daily and Sunday strips by Jim Davis; Introductory essay by Jim Davis; 12×16 inches; 144 pages; hardcover; all color; endleaves; limited edition has a special dust jacket (different from the regular edition) as well as a specially prepared signed plate Jim Davis is doing just for this book; limited to 125 Diamond Previews Exclusive only. Pre-order it today! Or grab the VERY limited edition, available only through Previews and our website. And be sure to check for our Valentine’s Day sale!